Plaza Cortazar. Photo: / Flickr. Contributing editor Kate Donnelly takes a long stroll through the charming streets of Palermo. 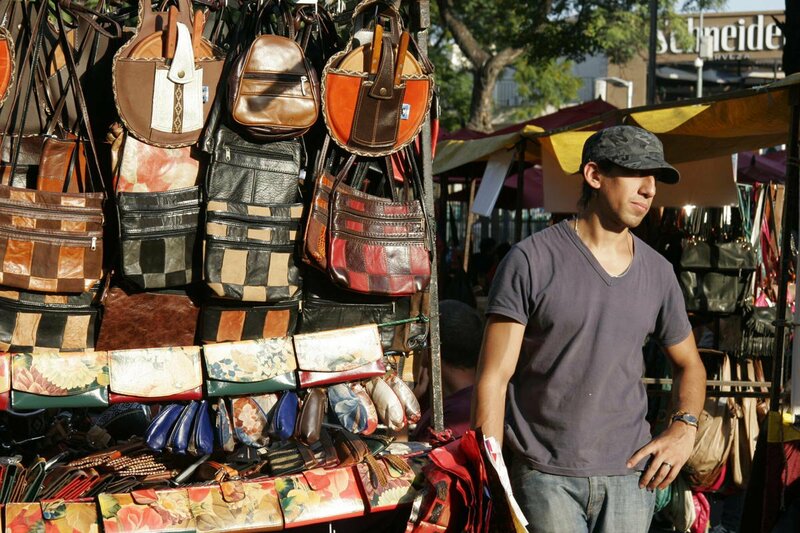 BUENOS AIRES – Buenos Aires is the perfect walking city. Especially the hip, leafy neighborhood of Palermo, which includes subdivisions Palermo SoHo, Palermo Viejo, and Palermo Hollywood. The area reminds me of New York's Nolita circa 2000-2003 when the neighborhood was quietly evolving into the boho center of New York City. Palermo attracts locals as well as tourists who are all drawn to its charming scale, cool boutiques, effortlessly chic crowd, sidewalk cafes, and graffiti tags. It's true: Buenos Aires is the Paris of the south. Without the price tag. Here's a neighborhood tour. Local designer Guadalupe Villar's selection is charming, feminine, and very chic: French schoolgirl stripes, tailored rock ’n’ roll, a touch of Agnes B and APC. I walked in and felt (briefly) like Jean Seberg. A shoe store where I found disco-ready poppy metallic and gold platforms. Great for playful, whimsical kicks. 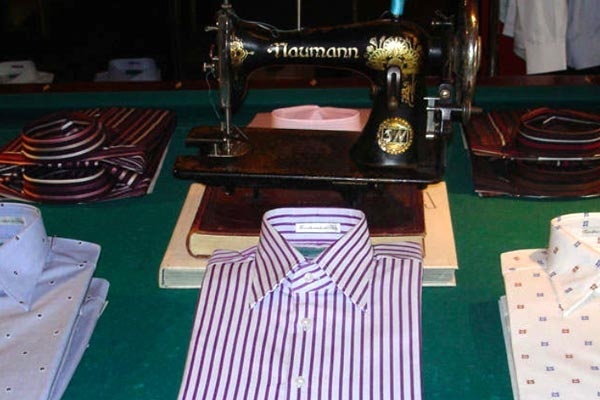 A legit choice for the gents with classic, well-appointed shirts, suits, cufflinks, handsome alpaca scarves, and driving gloves. Nice wallpaper, too. Toned-down unisex leather bags, wallets, and belts that are smart and perfectly worn — without looking worn. A great record store located within the terrific bookstore . It's a big cultural fix. I had a café and picked up the latest Gotan Project and Buenos Aires Late CD and a photography book. 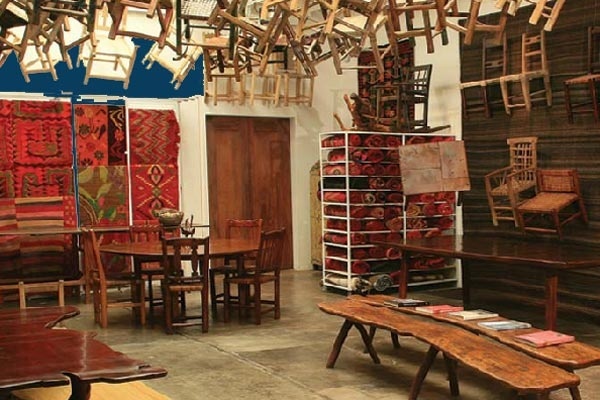 Beautiful textiles and handmade wooden chairs. A treasure trove of unique, hard-to-find furniture, with an array of Knoll, Herman Miller, and Scandinavian treasures. Where locals sip espresso at wooden tables as a great soundtrack plays in the background. The mod interior is open and airy; the menu is light, with salads, sandwiches, and snacks. This is where the fashion savvy crowd relaxes with a glass of Torrontes, the preferred local white wine. It's local flavor galore at the 75--year-old Italian storefront market. I propped myself at the orange and green high tops and ordered paella, then left with olives and wine for the road. The outdoor tables at the MALBA Museum café are great people-watching stylish Argentines over a glass of rosé, caipirinhas, and creative bistro cuisine like excellent steak tartar. The museum bookshophas a great stash of local art books and postcards. 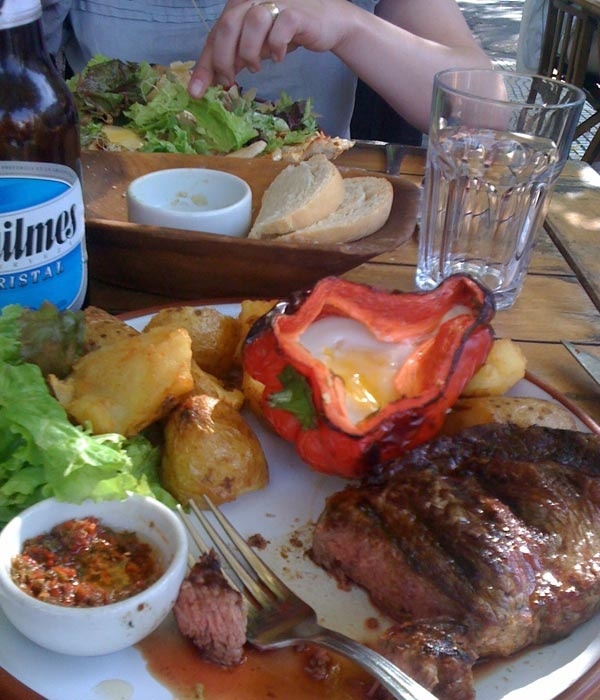 For the meat lover, Buenos Aires is magnificent and affordable. Three courses of lomo — the leanest, most expensive cut of beef — a bottle of wine, a hearty side of roasted potatoes and red peppers with a cooked egg run around $25. I subsisted on a solid diet of beef for lunch and dinner (and didn't want the barrage to end). What makes traditional Argentine grills, or parillas, a step above the rest is the grilling technique (a true art) and the quality of the beef itself (it melts in your mouth). A must. 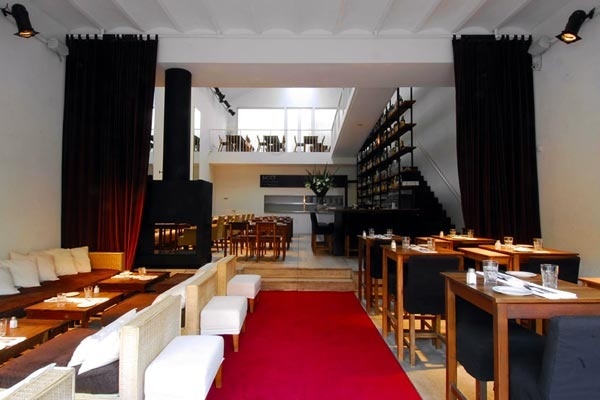 A breezy, unpretentious space with outdoor seating at wooden tables with directors' chairs. On the menu: fire-grilled beef and outstanding grilled-charred cow's milk cheese. They're open all day for a late lunch and tend to induce an afternoon siesta. A traditional, old-school, family-run parrilla with bottles of wine piled high to the ceilings and an asador (grill chef) who works right in front of you. Tables at the bar get extra face time with the cook cutting the meat. A small and cozy eatery beloved by locals. I started slow, with country-style toasts with mozzarella, raw ham, and tomatoes, then allowed the beef assault to begin. Not in Palermo but rather in San Telmo, but too good not to mention. The meat was so tender, I could cut it with a spoon. (If only they could erect a meat altar here.) Tango blares, making the waiting part of the fun. It's soccer central, chock-full of mementos like Maradona and Boca scarves. I ordered a Quilmes and watched owner Hugo (a former footballer) work the room. Looks like your typical, worn English pub and curry house. A relaxing, welcoming way to start an evening (with a pint) or end it (with a nightcap). Like dropping by another friend's casa. If your friend happens to be Francis Ford Coppola. 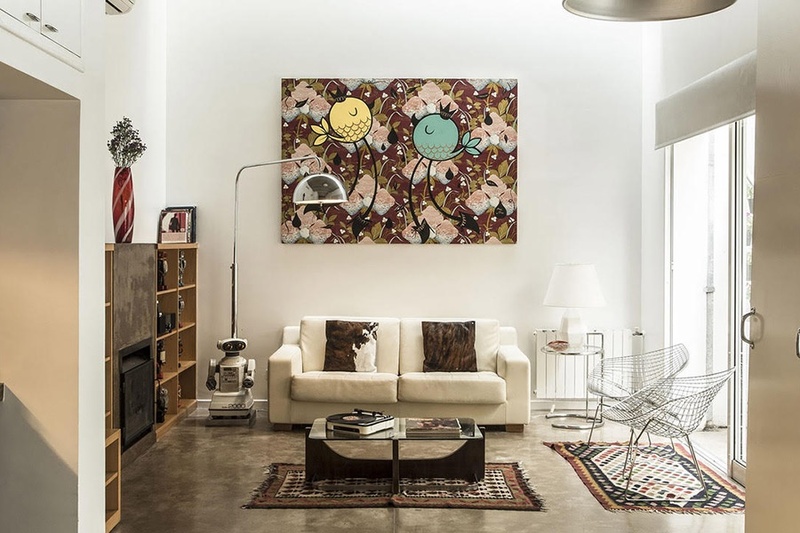 The comfortable living room is decorated with contemporary paintings, tribal masks, woven tapestries, and the director's photography book collection. The proper breakfast spread includes mate, bold coffees, eggs, fresh fruits, and breads. Before setting out, I liked soaking my feet in the pool. 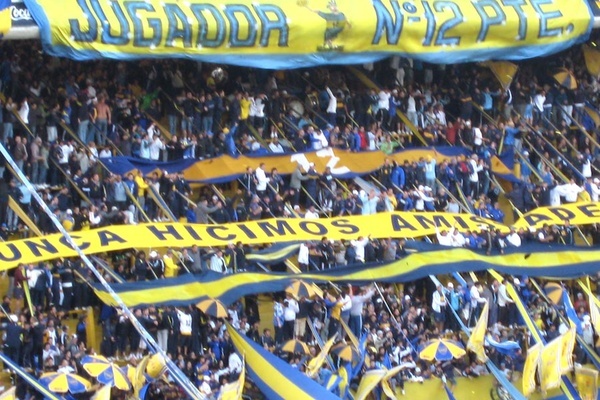 "They" say you need a chaperone at this historically rough-and-tumble fútbol stadium, but a watching game here amongst the hollers, chants, and shouts of working class Boca fans young and old is a must. Look for the ghost of Maradona and wear blue and yellow. If post-game snacks are in order, serves juicy steaks amid Boca Juniors memorabilia. On Sundays, crowds of locals and trinket-hungry tourists come to the bohemian barrio to search through miles of vintage antiques (Che and Eva postcards and posters, tins, soccer memorabilia, old dolls, hand-blown glass, and furniture) and enjoy the tango performers and local musicians. Winged angles, cobwebs, and stunning, crumbling mausoleums fill the narrow alleys, as do many wild cats. 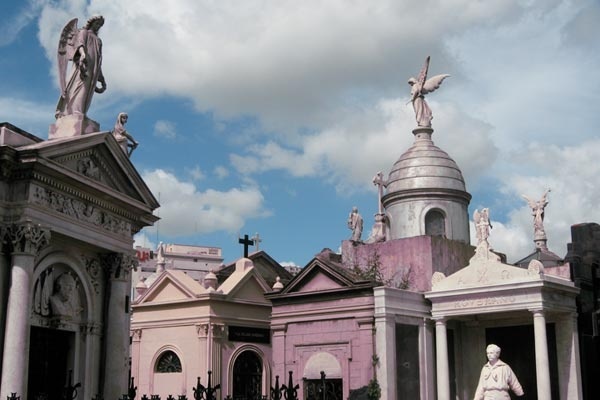 Evita Perón is only one of the many wealthy and prominent Argentines buried in the hauntingly beautiful cemetery.